Congressman Frank Guinta took $355,000 in illegal donations from his parents in 2009 and 2010, and that’s the conclusion of and FEC investigation. Guinta, who had long denied he’s taken money from his parents, has agreed to pay that money back, plus a $15,000 fine. NHPR's Josh Rogers talks with All Things Considered host Peter Biello. NHPR political reporter Josh Rogers talks with All Things Considered host Peter Biello. This agreement, which Guinta’s lawyer signed off on 3 weeks ago, and which was first reported by WMUR last night, was a long time coming. Can you walk us through this? OK, so to translate, the money, according to Guinta, wasn’t simply his parents writing checks and him funneling it to his campaign? That’s what he says, that the checks were written to him, but the so-called family accounts, also held money Guinta himself had contributed. He argues his personal contributions – when you include interest -- actually exceed the $355,000 loaned to the campaign. But according to the FEC all of this money amounted to “excessive contributions,” and thus must be repaid. So, this is all a long time in the making, can you quickly walk us through the back story? This issue first arose in the summer of 2010, when Guinta’s loans to his campaign began to attract attention. In late July, Guinta submitted an amended financial disclosure form. It listed a previously undisclosed bank account. It contained money in between $250,000 and $500,000. Guinta’s GOP rivals – recall he was in a hotly contested GOP primary at the time – repeatedly asked him to detail the source of these funds. Guinta said a number of things; that he’s earned the money in investments, in the stock market and real estate. And also though work. As for the newly disclosed account itself, he first said he forgot he had it, and then that he inadvertently left it off his earlier disclosures. This later explanation is what he told the FEC. Throughout the summer of 2010 – and since – there was speculation that he got the money from his parents. He ended up flatly denying it. But when first asked, he mostly tried to dodge the question --- here’s NHPR’s Jon Greenberg and Frank Guinta about in August of 2010. “Did your parents gift you a great deal of money?," Greenberg asked. “I’m going to focus on the issues of economy and jobs and moving the country forward," Guinta replied. Greenberg: “Did your parents gift you a great deal of money? I didn’t hear an answer." Now, Guinta narrowly made it though the GOP primary, and in the general election Democrats really tried to push Guinta on this, didn’t they? Yes, they wanted to get the U.S. attorney to launch a criminal investigation. Carol Shea-Porter, the Democratic incumbent, tried hard to make this a big issue,. Here are she and Guinta during their final debate, broadcast on WMUR. “Don’t you want to clear this up and will you show everybody your bank account with just that money in it, and nothing else, just to prove this is not an illegal contribution?" Shea-Porter asked. “I have complied with the rules and the regulations that the FEC has asked me to. 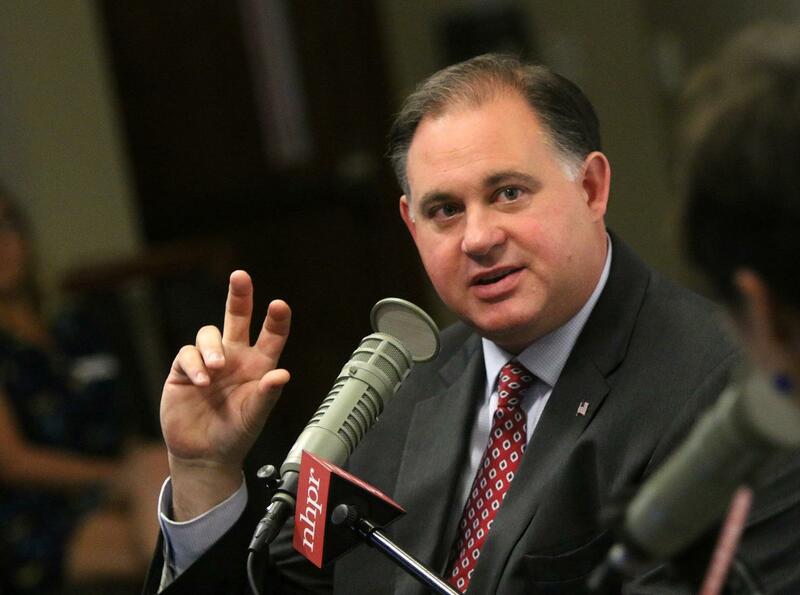 And I am standing on principle because at some point you need to do what is not politically correct but what is personally correct," Guinta replied. OK. So for Guinta this issue has been out there for every one of his runs for Congress. It was there in 2010 when Guinta won. It was out there in 2012, when Shea Porter beat him in their rematch. And then in 2014 when Guinta took the seat back. And the FEC was investigating this whole time? Not sure if they were investigating the whole time -- but the case was open --and during a time of real partisan gridlock at the FEC, a lot of cases dragged. And I think it’s fair to say that over time, few people outside of politics paid much attention. If you brought up the issue among Republicans, some would tell you they didn’t buy Guinta’s explanations , but few were vocal publicly. Democrats, meanwhile, were eager to bring it up whenever they had a chance. And over time, Guinta was increasingly bold about claiming the issue has been settled and going on offense whenever it was brought up. Here he is during the final debate of 2014. “The reality is this is becoming nothing more than political posturing. The Democratic party has done this in the state of New Hampshire to other candidates and across the money," Guinta said. The matter with the FEC is now settled. Guinta will pay a $15,000 fine and get a year to repay the $355,000 loaned to his campaign. But the issue is not gone, I would guess? No, Peter. Assuming Frank Guinta runs for re-election I think we’ll hear plenty more about it, and it will be interesting to see when Frank Guinta next has a public appearance. Questions continue to linger over the source of a great deal of money that Frank Guinta revealed in a July financial disclosure statement. Guinta is the Republican candidate in the first congressional district. The size of the account is noteworthy - at least a quarter of a million dollars. NHPR’s Jon Greenberg has tried to track the source of that money and he has this report on what he has found. 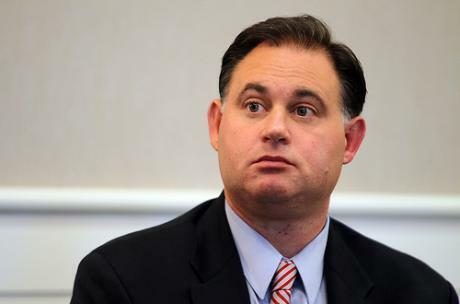 The Federal Elections Commission says U.S. Rep. Frank Guinta illegally accepted more than $300,000 in campaign donations from his parents in 2010. Questions over Guinta's finances arose in 2010, the year the Republican was first elected to Congress. He was defeated in 2012, but reclaimed the seat in November.